Deborah was quick. Her wit was razor-sharp. Though she spoke and moved circuitously, she was never far from her point. She dropped into her art like a stone into a pool. It was as natural to her as breathing, questioning or engaging. In other words, she and her dance were inseparable. When I was in college, a woman came to visit who was married to a fellow student of mine. 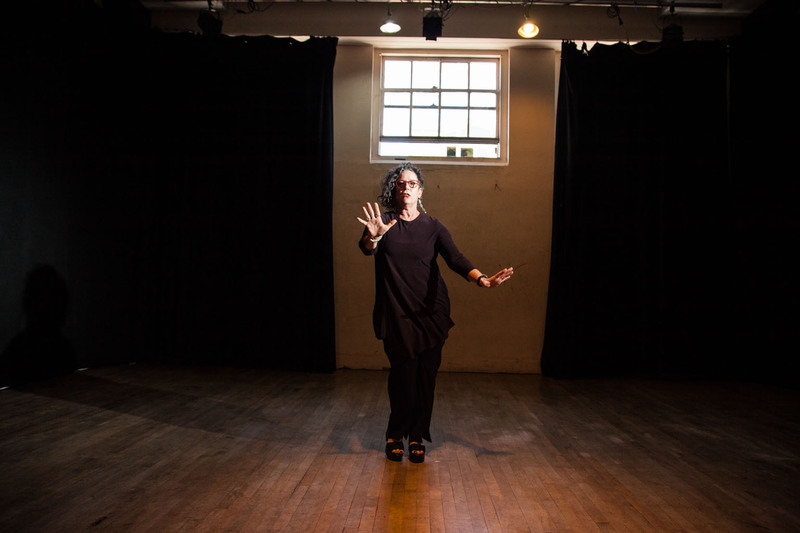 She was a dancer, and as there wasn’t any dance on the campus, she started teaching. I went to her class, and my direction – which at that point was modern poetry – went out the window. I started training with her, taking classes with 12 year-olds in pink tights and black leotards. I realized dance spoke to something in me in ways nothing else had. I graduated college and hitchhiked out to the Long Beach School of Dance. I thought I was a dancer at that point. The faculty there said, “Not yet.” They told me I should go take classes with Margaret Jenkins and study Cunningham technique. So I came up to San Francisco and studied with her. It’s ironic because I don’t do anything related to Cunningham technique now, but Margy makes choreographers. She makes you think, and that led me to what I do. That was the beginning of it all. I came out for the summer and never went home. 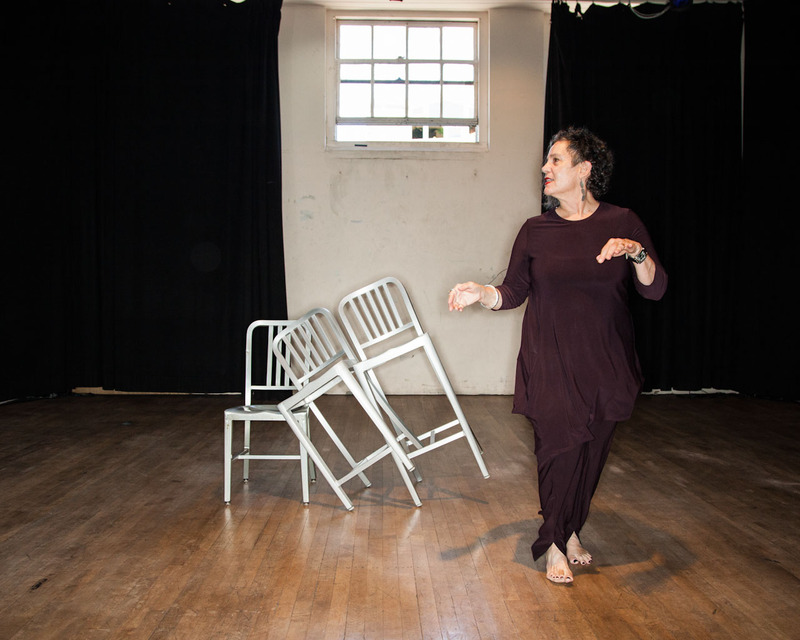 At some point, I started studying contact improvisation, and that really changed how I look at movement. It sensitized my body and transformed my consciousness. That was an important transition for me. Now that I’m an older dancer, I’ve been exploring salsa and African dance. I enjoy these new practices because I really like rhythm, which is funny because I don’t dance to music in my choreography. Another highlight is the space I manage. In 1980, Sears left the building where my current space is located. It was zoned live-work because at the time there was a big push to give space to artists. The ‘70s and ‘80s was when there was money for dance. A friend of mine was really good at finding real estate, and she and I and two other people went in on the space together. Now it’s just me, as there have since been two cycles of the price rises in San Francisco that have moved out artists. I work full-time. Dance is still my job. I’ll be starting rehearsals again in a few weeks. Otherwise, I take Pilates three to four times a week, as well as cardio salsa and West African dance. I do something physical six days a week. On any given day you ask me that question, you’ll get a different answer. It’s harder than it used to be, but I know how to do it better. I know what I have to do; I know I can do it; I just have to figure out if I’m psychologically prepared for some of it. It’s getting harder. There’s so much less money. I look at people who have gone on to other jobs and I wonder why I couldn’t have gone on to something else that was interesting. There’s much that interests me. But I was always determined to be a dance artist in the Bay Area. That was a conscious choice. New York had plenty of dancers. That stubbornness has kept me going. What does the idea of success mean to you? Do you feel like you’re successful? What’s success? I expected that at this point in my life, I would have an institution around me – a school, teachers and a salary. The fact I’m still doing it is remarkable. So many of my peers have stopped. People who were profoundly talented couldn’t keep going. Sometimes someone will write me and cheer me on, and I wonder: They think it’s remarkable, what am I missing? And then I realize it’s because it’s so hard. I don’t know if I’m the person who can name my own legacy. Someone else has to tell you that. I’m sure there’s some way to contextualize me, but I can’t name what that is. I can tell you what part of the dance world I’m in: I’m one of the people who combine dance with theater in the Bay Area. There’s a group of us. I have a grant to start archiving my work. It’s been interesting to watch my early pieces for the first time in 40 years. I see this skinny mini doing these very experimental dances, and it feels like meeting someone again. Is there an event or a set of circumstances which would cause you to stop dancing? I’ve had a lot of conversations about this. A lot of people my age are in regular jobs and they talk about retiring. I don’t know what I would retire to. Most people retire to something they’ve put off doing. But I get to do what I love every day. The thing that will drive me out of this will be money. The grant-writing and having to justify my existence… at some point I’ll get tired of that fight. I write about 25 grants a year, and I get enough money to keep me going, but it feels like pulling things out of thin air. I want to tell the grant world: Stop deciding what the art should be. I don’t want to tailor my grants to what a panel thinks should be happening. An artist should naturally come to what it is they need to make. I host a mentorship residency, and this year we got a number of brilliant applications from kids just graduating college. I realized we had to change the application to people who had been out of college for at least three years. For those who are really serious about choreography, if they can still make work on their own after three years, they might have a career. You have to have discipline to stay with dance when you’re not popular. You have to make mistakes. You have to fail. You don’t get better unless you fail and live through it. For some people, that’s too hard. My feeling is, if you pursue dance over the long run, it’s because you have to. If you could choose something else, you would. It’s about what movement does for me; that ecstatic remove when I am in motion that shuts up the yakking brain. It is how I understand the concept of religious experience. Deborah Slater is a performer, director and choreographer. 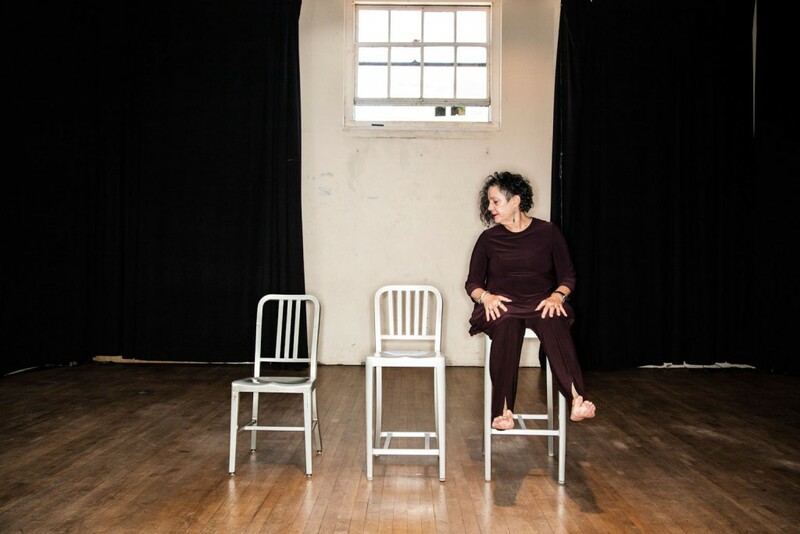 She has worked for the Magic Theater, A Traveling Jewish Theater, SOON 3, San Diego Repertory Theater, Theaterworks, Word for Word, and The Pickle Family Circus. 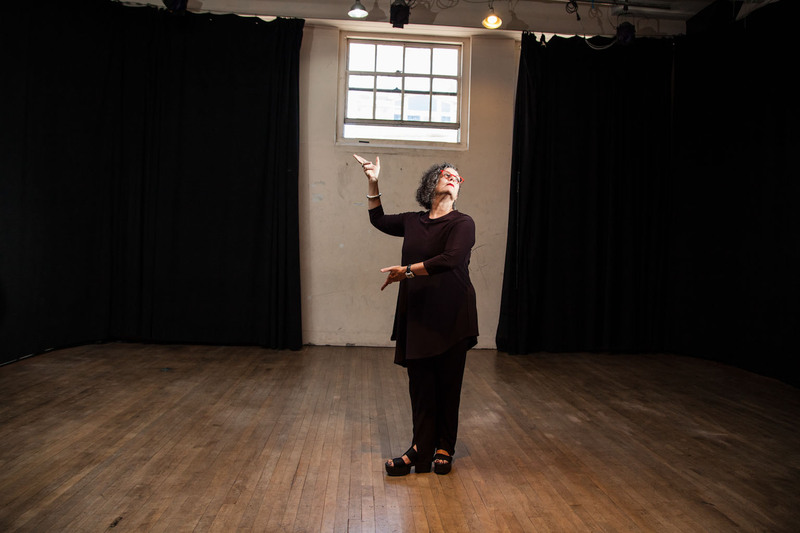 She is the co-founder of Circuit Network Management, artistic director of Deborah Slater Dance Theater, artistic director of Studio 210, and founder and artistic director of Art of the Matter Performance Foundation. Visit deborahslater.org to learn more.